Being a Bookie who accepts action on sports is a very profitable business because over the long term the house always wins. In order to be a bookie though, you will at least need to have a sports betting software that will provide you with a website for you and your players. This can easily be done by choosing one of the various pay per head companies on the market. Pay per head means that you pay for each active player you have each week. The cost will vary depending on which pay per head provider you choose. Some sports betting software providers cost as little as $5 per active player per week, while others can charge up to as much as $25 per player a week. It is important to realize though that you will always get what you pay for. Websites that charge $5 generally do this because they have limited betting options, and do not spend the necessary resources on top of the line expert lines makers and customer service representatives, which lead to soft and weaker lines and lots of bad lines and mistakes on simple changes on player accounts. In addition, these companies that charge less also do not spend enough on proper server capacity and DDOS protection, which leads to the site going down during peak betting times on NFL Sundays. All of these little details add up and can cost the Bookie Agent a lot of money or even worse cause players to not play anymore. 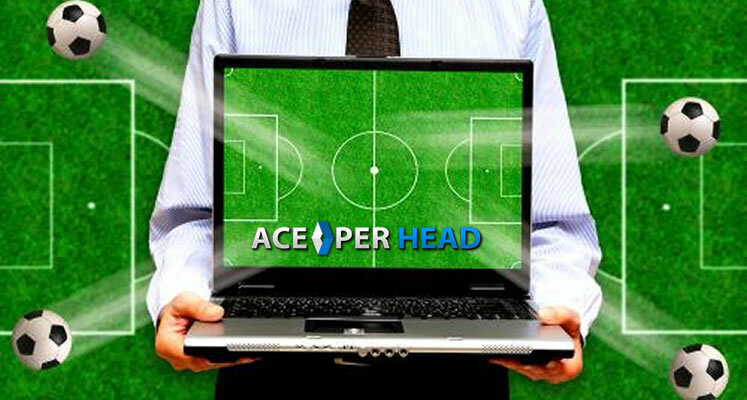 The average fee of the top sportsbook software providers, such as AcePerHead.com is $10. This is obviously more than the books that charge $5, however that small difference of an extra $5 will make a much bigger difference in overall hold percentage on players and net profit margins for the Agent. A company like Ace Per Head charges $10 because they do spend a lot of money on having the best line makers and customer service representatives in the world. In addition they always update and spend more money each year on servers to make sure that they are never running at more than 50% capacity on their system. By doing this, it helps to make sure that the website never goes down or prevents anyone from placing a wager. Lastly a company such as Ace puts up every line that is available in the betting market and has live lines for all major sports. This helps to ensure that the players always have something to bet on and creates an increase in betting volumes on each player, which over the long term all leads to the players losing more money and you as the Bookie Agent making more money. There are not many companies that charge over $10, however they generally have almost the same product offerings as the $10 companies, but just choose to charge customers more because they purely just want to make more money. For these companies that charge more than $10 it’s always best to ask them directly what exactly extra you will get for the extra price compared to the companies that charge a flat rate of $10. So at the end of the day the choice will be yours and will be whether or not you want to pay less and have a product that is less reliable and not make you as much profit from or you can choose a site that is slightly more money but is always reliable and will cause you to make more money over the long term?